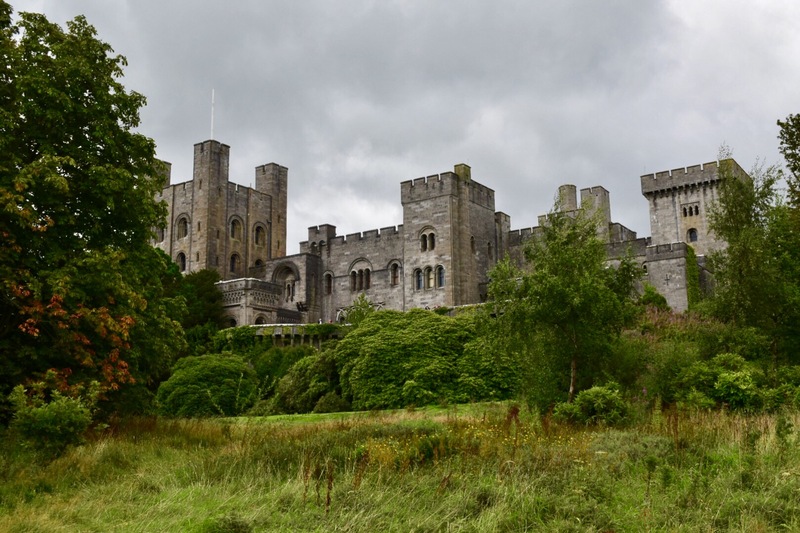 Penrhyn Castle is one of North Wales most spectacular castles. Owned and managed by the National Trust, this 19th Century fortress is simply huge. Despite it not being quite as old as some of its North Wales contemporaries, it still has a rich history and the ability to impress…a lot! 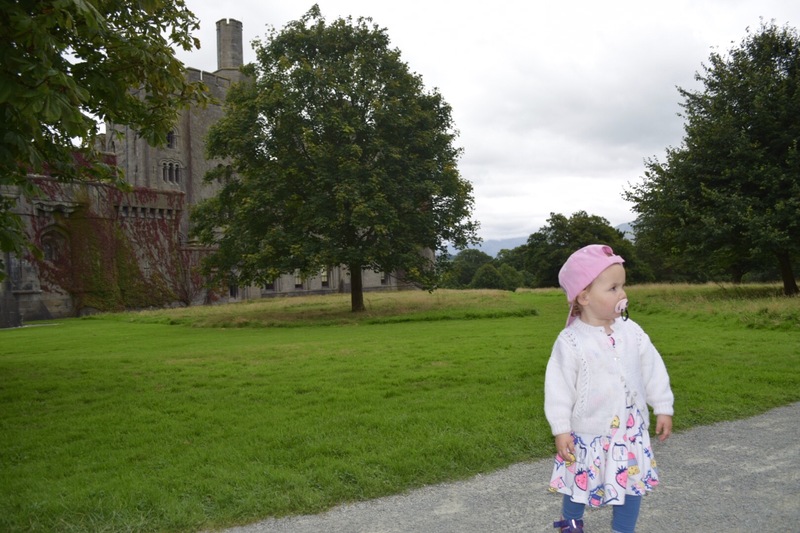 Despite being less than an hour away from us, this was our first visit to Penrhyn Castle. On arrival we were greeted by the friendly and informative staff who passed us a child friendly map and challenge card. This is where the National Trust really excel themselves. 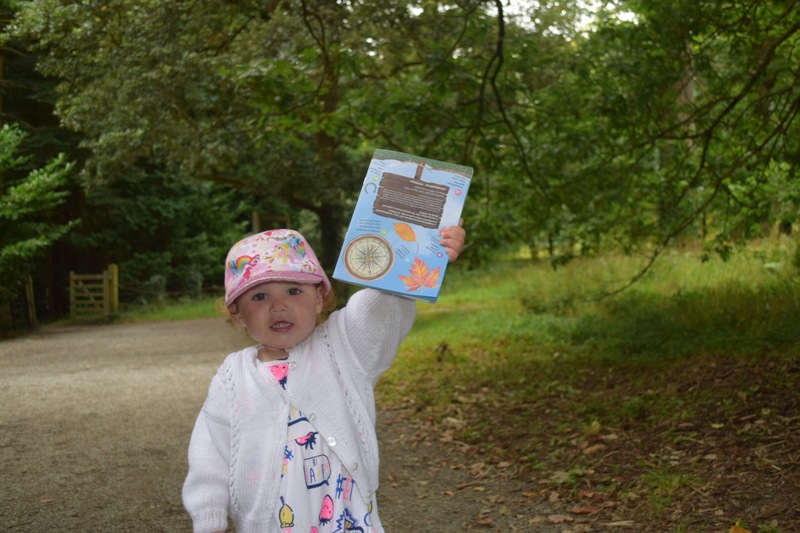 Not only do they give you access to some truly outstanding properties, they also do their utmost to ensure that children feel included and engaged during their visits. 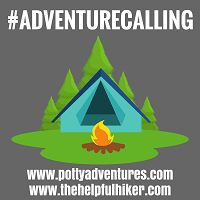 We’ve long been fans of the National Trust’s ‘50 Things To Do Before You’re 11’ booklet, which promotes outdoor play and adventure. 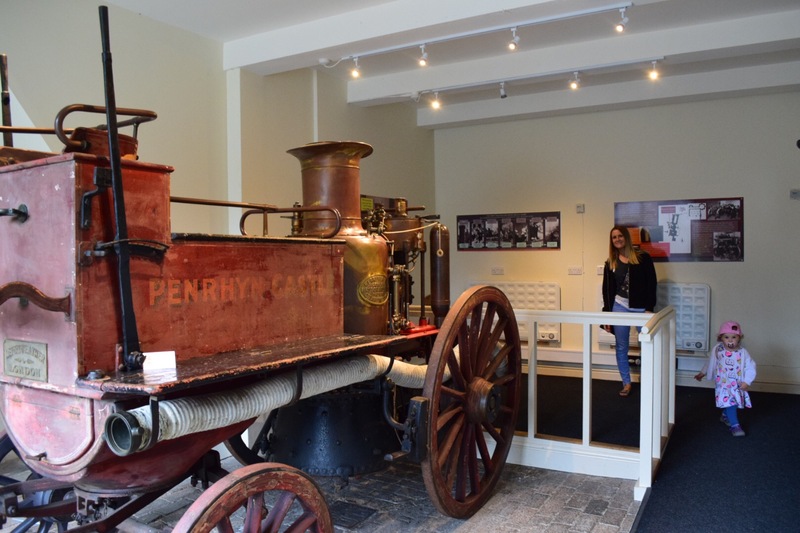 This was a very similar initiative that was just specific to Penrhyn Castle. With tasks varying from finding a tree to climb to ascending the tallest turret, our kids loved it. The walk up through the grounds is lovely in itself. To the right you’ll be looking out to sea from your elevated position while, to the left, the castle will regularly give you glimpses of its size and majesty. Don’t worry if you have family members with you that are not too good on their feet. The castle operates a buggy transfer up and down the hill at busy times, which really helps. Arriving close to the giant entrance gates to the castle you can’t help but be impressed. Built between 1820 and 1833, the neo-Norman design is as grand as it is imposing. This newer development actually hides within it two earlier buildings: a medieval house and a gothic mansion. Inside the building’s ornate ceilings, stained glass windows and elaborate paintings are housed proudly. 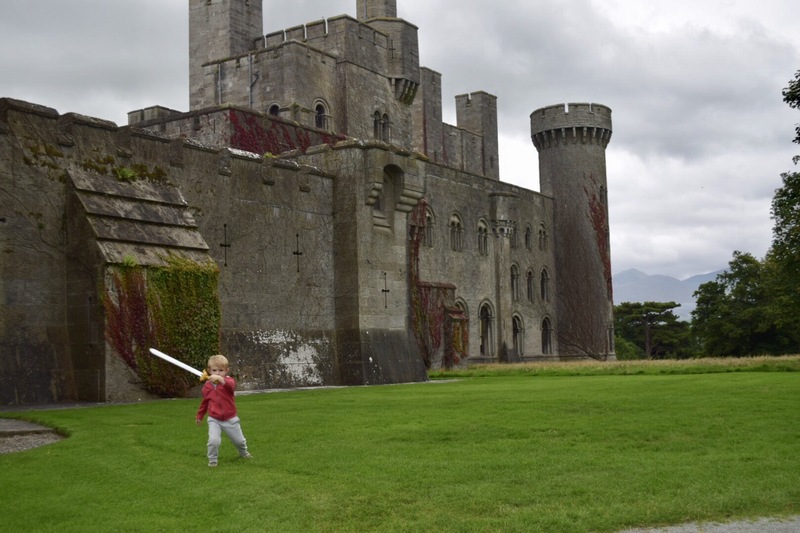 Furthermore, Penrhyn Castle also plays host to many other displays and exhibitions. When we visited, for instance, there was a railway exhibition taking place. 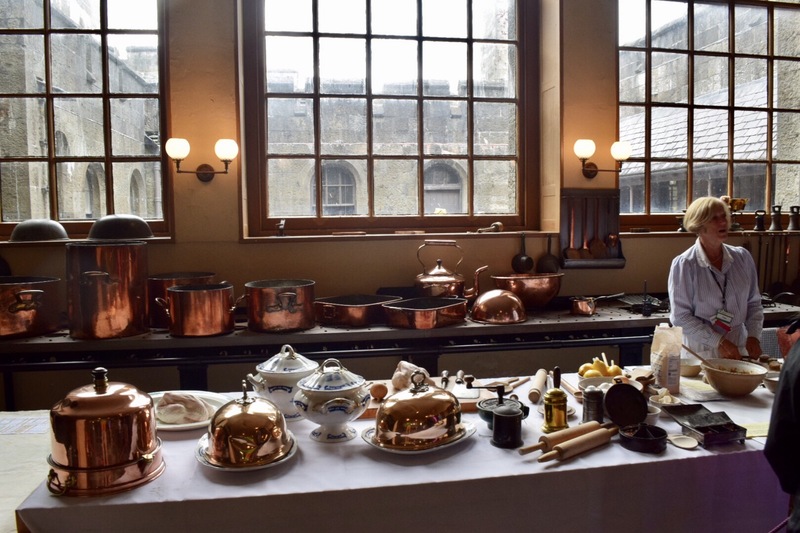 As well as the exhibitions and displays, the Victorian kitchens at Penrhyn Castle are also well worth seeing. They’ll transport you back in time and give you a chance to learn about days gone by. 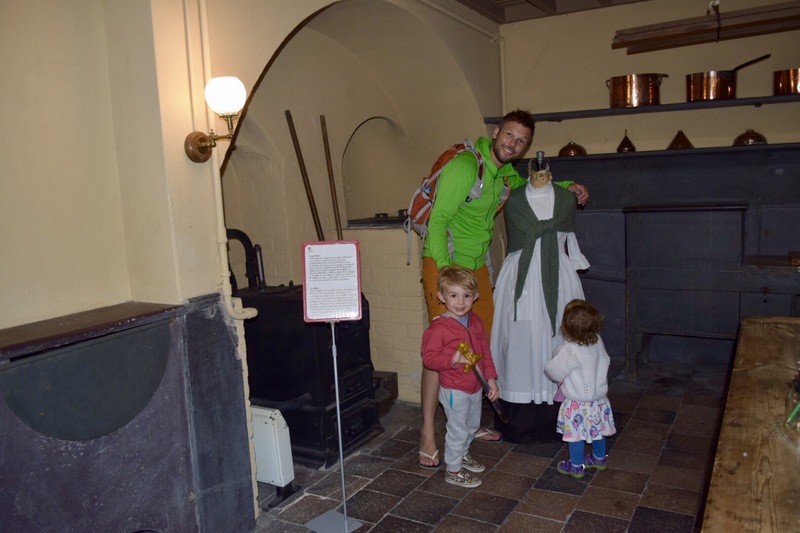 Moreover, National Trust staff do a great job of bringing them to life. 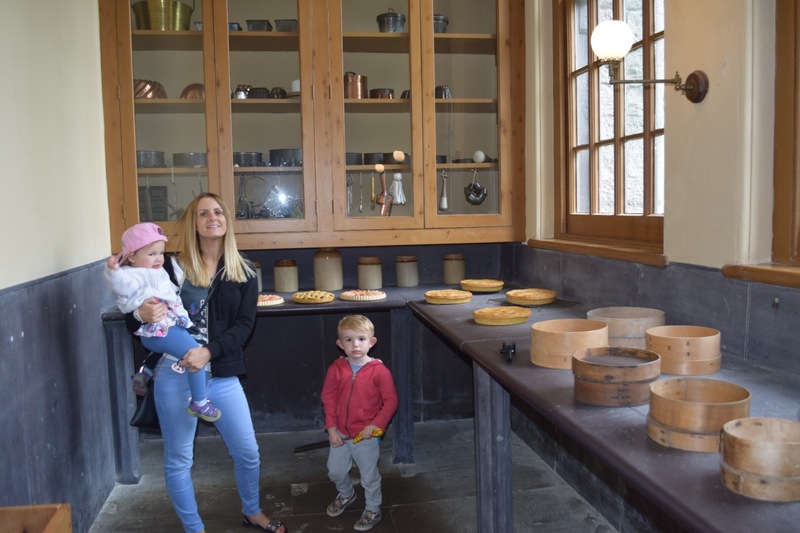 Their demos and ‘in character’ talks to visitors help bring the section to life. When we arrived to observe, they were kneading dough and discussing how meat would have been hung high up in a special cupboard to cure. 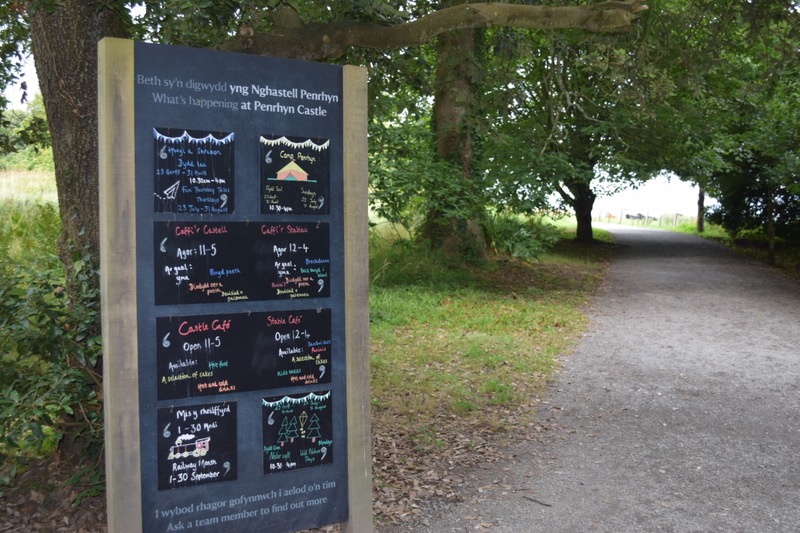 Outside of Penrhyn Castle you’ll find marvellously extensive grounds. A beautiful blend of natural woodland and cultivated garden areas, we could have spent all day wandering around these. By this time, Jesse had acquired a sword from the onsite shop. Totally in character as a Knight of the Realm, he spent the afternoon swinging and waving his weapon at every imaginary object that his mind could conjure up. 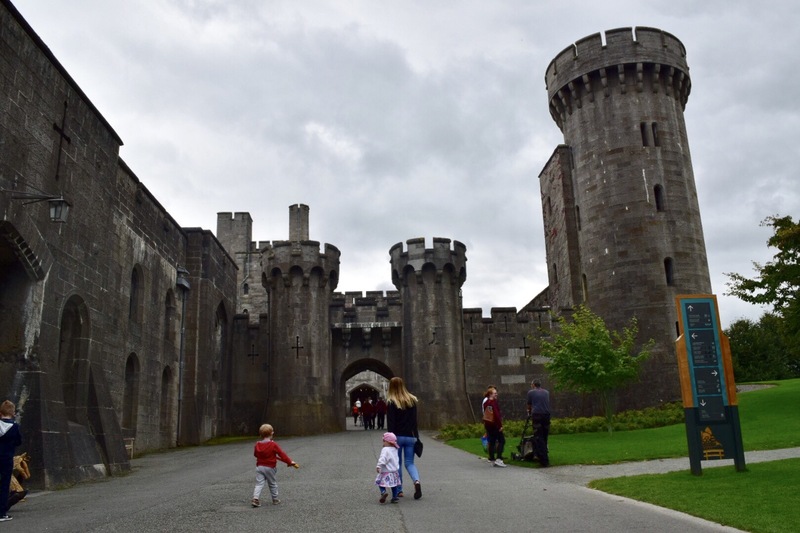 If you’re looking for a great day out for the whole family, Penrhyn Castle is definitely worth a visit. With more than enough space for the kids to run about and let their imaginations takeover, They’ll love it too. Not only will you be awe-struck at the size and scale of this 19th Century stronghold, you’ll also be treated to some amazing views. 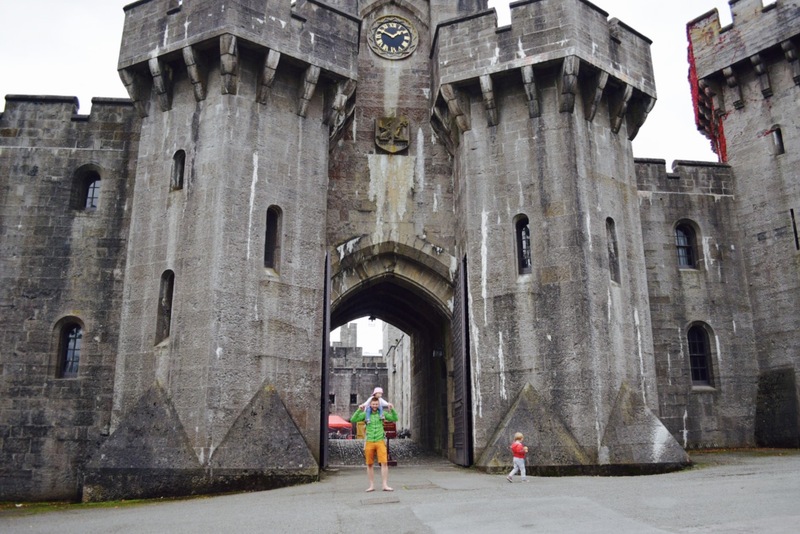 I hadn’t been to Penrhyn Castle since I was a kid but it was a good day out. We were only there for an afternoon so didn’t get to see the kitchens. But I did get to see the slate bed! I want one! Rebecca recently posted…Where’s Larry? Tour – Take 2!